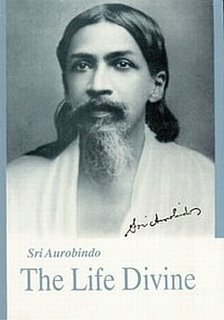 Sri Aurobindo gives a fresh perspective of Ethics in Chapter XI of The Life Divine. To understand Sri Aurobindo’s viewpoint, we must first try to appreciate the traditional Indian ethical perspective. (1)	The Indian ethicists always admitted relative standards in morality unlike their Western counterparts who were rather absolutist in their moral convictions. Thus, if ‘Thou shall not kill’ was an important dictum, more important was the necessity to rise above lust, greed, desire, selfish motives, egoistic considerations, emotional turbulences -- phenomena that lead to the ‘kill’. In fact, the Kshatriya (the warrior class) was allowed to kill if that was necessary for protection of the weak, the downtrodden, and the victimized. If the monarch was a despot and a tyrant, even regicide was allowed! By introducing this element of relativity, Indian ethics escaped the impracticality of an absolutist position. An absolutist view of morality is not only impractical; it also can lead to dogmatic and fundamental attitudes. (2)	The Indian tradition accepts that WHATEVER LEADS TO AN ELEVATION OF CONSCIOUSNESS, FALLS IN THE DOMAIN OF TRUTH. If that endeavor necessitates an infraction of certain values at a certain point in time, then that infarction is also serving the cause of Truth. There is that famous story of a traveler being chased by bandits who were bent or killing the poor fellow. The traveler entered a hermitage where an ascetic allowed him to hide. When the bandits reached the hermitage and asked the ascetic about the traveler, the ascetic, in order to serve ‘truth’, disclosed that he had given shelter to the traveler. The result – the traveler was killed! This story was written to show that if ‘truth’ is ‘empty’, ‘devoid’ of consciousness, it does not serve any utility. In Sri Aurobindo’s own case, an intuitive indication necessitated an escape from Calcutta to Pondicherry at a time when the British administration was on tenterhooks. He used a fake name to avoid arrest. He had no inhibitions to use a temporary falsehood to serve a greater Truth! Once, when one of his devotees was arrested during the freedom movement of India, a piquant situation arose. If the devotee told the truth, the false case that the police had fabricated would be proved right leading to conviction. When he sought guidance, Sri Aurobindo explicitly told him to take full advantage of the situation as Truth is to be taken as a whole and not in bits. (4)	The Indian tradition also envisaged that any moral value must be preferably special for the special person while remaining universally effective. Thus the conditionality of circumstances was taken into account. (a)	THE HUMAN BEING IS NOT BORN ETHICAL. (b)	MORAL VALUES ARE MAN MADE & TRANSITIONAL. Therefore ‘ethics’ cannot be applied to the total solution of the problem of the universe. It can be considered just as one element in that solution. 5. SUPRAETHICAL (a futuristic Aurobindonian vision based on supra-rational perception). These different levels of experience are not water-tight compartments but merge into each other. The ethical individual carries both in the individual subconscious as well as in the collective unconsciousness the non-ethical, infra-ethical and anti-ethical elements while the supra-ethical casts its glances at the higher ranges of experience. In other words, with a progressive change of consciousness, newer values are being created while earlier values are taken up and transformed. Our present ethical values are transient and need to be surpassed en route a growth in consciousness. Sri Aurobindo his chosen the chapter named ‘Delight of Existence’ to answer this question. Why? This is how ethics evolved. What is the present problem with Ethics? Ethics was necessary for the establishment of the civilized mind-set. The civilized mind had to have its own norms, had to be guarded by reason, had to construct ideologies, had to construct a foundation for the full flowering of man’s hidden potentials, and had to lay down the norms of a sound social order. Ethics was one of the important elements that helped in this endeavor. There were other elements too like aesthetics, metaphysics, and religion. But ETHICS with its emphasis on discipline and order overpowered all and itself become a sort of religion. To be more precise, it began to rule religion. That reign of Ethics is now crumbling down. Indeed, can a perfectly ethical man rule a country successfully today? Can even an ordinary god-fearing man get all the help from ethics in an increasingly complex world? Take a simple problem of a comatose subject under life-support system. Should he be allowed to have a passive euthanasia if he shows no sign of survival? The religious fundamentalist who has his own ethical norms will give an answer that that might sound dogmatic; the secular rationalist will try to stick to his own ethics by having a legal opinion or a socio-political consensus. Both demonstrate one thing is common – they have avoided the ‘reality’ of the dilemma. Sri Aurobindo envisages an evolutionary growth of consciousness beyond the mental cognitive field. He conceptualizes higher planes of consciousness that will be embodied in future models of man. What we call ‘ethics’ developed to cater to the needs of the human collectivity that emerged with the evolution of mind. Once the mental plane is surpassed, something different and higher than the present ethics should manifest. This new ethics would provide a different perspective to solve dilemmas. How do we proceed to the supra-ethical poise? To cultivate a supra-ethical poise, man needs to cultivate supra-rational faculties of knowledge. For example, Intuition is one supra-rational faculty that can be developed through a ‘technology’ of consciousness. While Reason discovers the rational aspect of existence- the logically definable intelligent structure of the world, Intuition illumines the non-relational aspects of existence- the theologically indefinable non-verbal factor in the nature of things. In case of ethical dilemmas, Intuition can help to guide from a supra-ethical poise. Actually, the supra-ethical view of things will be different from the ethical view. The nature of the problem will be viewed from an entirely different perspective and hence the solution will also be different. There might be different answers for the same problem in different cases but each solution will be based on the guidance needed for the growth of consciousness. A perfect flowering of the supra-ethical poise will eventually come when a very high plane of consciousness, which Sri Aurobindo names as the Supramental consciousness, manifests in future models of man. Actually, this supramental plane has the power of transformation so that the infra-ethical element is removed even from our subconscious. (Short of that we may not be able to outgrow our atavistic past with certainty and our unconscious slips of tongue stop revealing our hidden beast). The supra-ethical poise will resurrect the Delight of existence that we cannot feel at the level of mind because of ‘division, ignorance of self and egoism’. A deep enigma is the soul of man. His heart is a chaos and an empyrean. And does what Matter must or Spirit can. The slave and the creator of his fate.